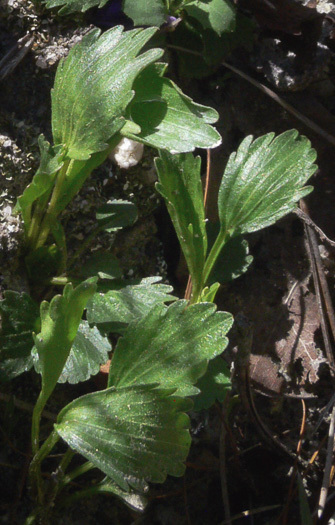 Forest Plants of the Southeast and Their Wildlife Uses p198? 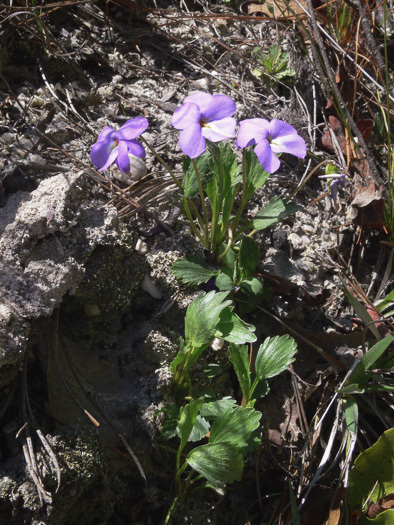 Wildflowers of Tennessee, the Ohio Valley, and the Southern Appalachians p100? Wildflowers of the Southern Mountains p102? 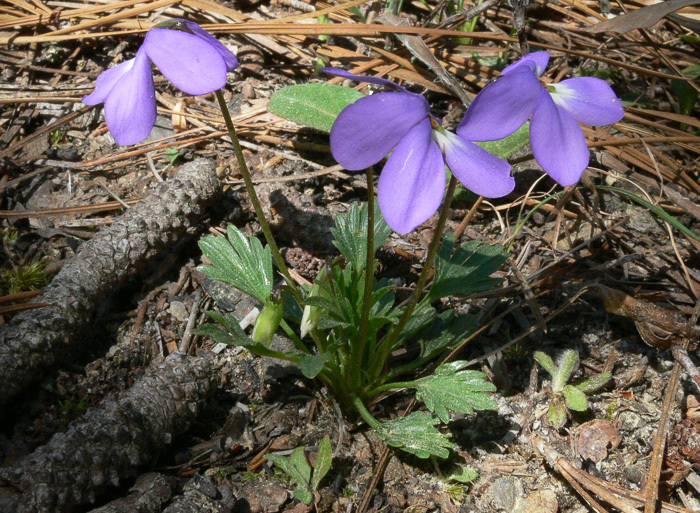 Test-drive A Teaching Key to Violets. Orange stamens conspicuously exsert and beak-like, per Weakley's Flora. Leaf blades incised only in distal half or only apically, per Weakley's Flora.